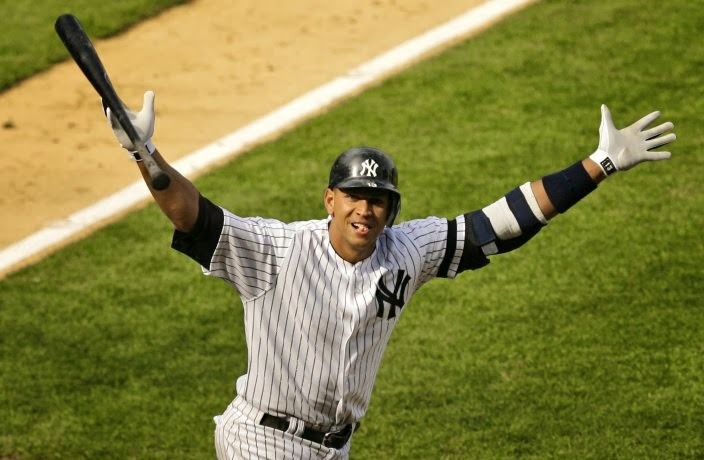 There have been 8 contracts given out in MLB history that were 10 years or longer.The players who received deals over 10 years are Derek Jeter (2001-2010), Todd Helton (2001-2011), Alex Rodriguez (2001-2010) (Deal was with Texas Rangers), Alex Rodriguez (2008-2017) (Deal is with the New York Yankees), Troy Tulowitzki (2011-2020), Albert Pujols (2012-2021), Joey Votto (2014-2023) and Robinson Cano (2014-2023). 2 of the 10 year deals start next season with Joey Votto as the Reds 1st baseman and recently signed Mariner Robinson Cano. Every player on this list is a superstar caliber player, that doesn't mean they deserve the contracts they were given. Now i give you the top 3 worst worst 10 year contracts in baseball. Listen, I REALLY like Troy Tulowitzki. He is one of my favorite players in the MLB. But, the dude CAN'T STAY HEALTHY! He has so much potential and can easily be the best player in the game, but whenever he earns your trust, he goes down with an injury. Whether its a hamstring injury, or a broken wrist, he can't stay healthy. He has played over 150 games TWICE in his 8 year career. He has one season with over 100 rbi's and 3 all-star game appearances with 2 gold glove awards. However he has achieved a slugging percentage over .500 four times in his 8 year career but the stadium at which he plays questions his actual ability. 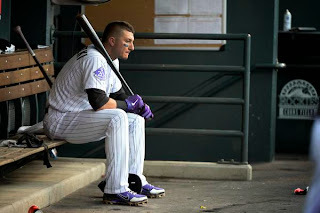 With his large contract we may never see Troy Tulowitzki on another team... unless his team trades him. He has also made the postseason twice. With all of his accomplishments and his ability to stay healthy, was he really worth 10 years, $157,750,000? No it wasn't. If Troy Tulowitzki could magically create a potion that keeps him healthy the rest of his career then yes it was but do to the fact that its physically impossible to create such thing then in the best interest of the Rockies, trade Tulowitzki and move his massive contract of the payroll. In the last six seasons, there has been 972 games. Rodriguez has played 664 games in the past six seasons. He has missed 308 games in the last six seasons. Yes I know injuries are part of the game but no one should miss that many games in only a short 6 season span. He played good through the first 3 years of his brand new contract averaging 32 homeruns, 109 rbi's and slugging over .500. But after the 2010 season that's when things started to fall apart. From 2011-2013, he's averaging 14 homeruns, and only 46 rbi's and only playing 88 games! THAT IS NOT WORTH $27,500,000 PER SEASON! Alex still has 4 more years on his contract, the Yankees hope they get numbers from the first 3 seasons and not numbers from the last 3. There is no way anyone will take Alex and his tremendous contract. He is currently fighting a suspension in court, if he loses he could face a 200+ game suspension. The Yankees hope he loses as they can save over 25 million dollars on the payroll and get under the $189 Million Dollar luxury tax. When the Cardinals let Pujols walk, everyone went into shock as the greatest player in the game was going to get a HUGE payday. Now I'm not saying the Cardinals are mind readers but they made the biggest decision in franchise history by letting the future hall of famer walk, and they made the right call! 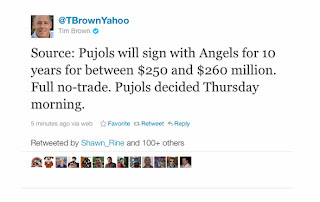 Pujols has been nothing but a disappointment and a regret to (excuse my language) the most overrated team in baseball! Pujols has played 253 of the teams 324 games. So he isn't on the field a lot which shows his below standard averages through his first two years as an Angel. He is just averaging 24 homeruns with 84 rbi's with a .271 average. Pujols has 492 career homeruns, is he a hall of famer? Yes he is, he is getting in on the first ballot! Is he one of the greatest right handed hitters of all time? Yes he is, with six 40 homerun season, eleven 100+ rbi seasons and seven .600+ slugging seasons. 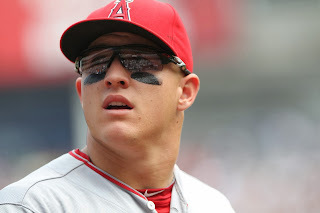 He has murdered the baseball in his career, he is a hall of famer and will go down as one of the greatest but the Angels are stuck with this guy for another 8 long seasons. He's only going to decline more, be more sustainable to injury which means time on the disabled list. 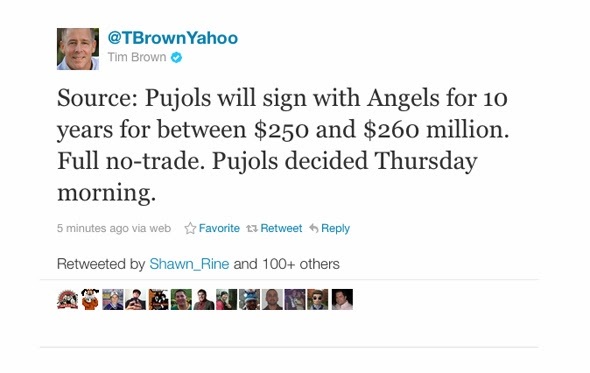 Pujols played for a contract, now that he got it he could sit back for the next 8 years and enjoy life. No matter how he preforms he will get his money. The Angels really dug themselves into a deep hole for the next 8 years. Every player I have named is a house name player, if you go up to someone who lives in the middle of no where and asked them, "hey, have you heard of ( Troy Tulowitzki), ( Alex Rodriguez) or (Albert Pujols)" I'm sure he would say yes. These players are superstars of the game. But do the really deserve that much money and that many years? The question I leave with you the reader is this... With the contracts to Pujols, Hamilton, and Wilson, could Mike Trout slip out of the Angels fingertips?